1Animal Production Department,Faculty of Agriculture, Cairo University. 2Centra] Laboratory for Aquaculture Research, Abbassa, Agriculture Research Center. 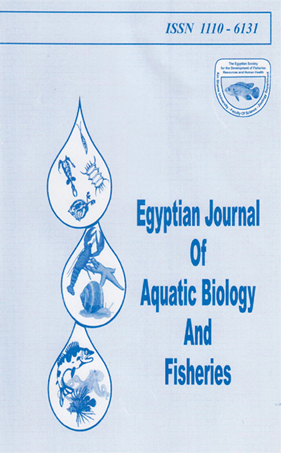 This study was conducted jointly at the Central Laboratory for Aquaculture Research (CLAR) and Faculty of Agriculture, Cairo University. The experiment included six treatments. The first treatment included the application of supplemental diet (17% CP), The second treatment included the application of complete diet (25% CP). Both diets were administrated at a rate of 3% of fish body weight per day. The third treatment included a biweekly application of nitrate and triple super phosphate(ammonium nitrate 33% N and TSP 37% P205) at high dose at a rate of 10.61 and 4.72 kg/pond, respectively. The fourth treatment included a biweekly application at a medium dose at a rate of 53 and 2.36 kg/pond. The fifth treatment included a biweekly application at a low dose at rate of 2.65 and 1.18 kg/pond. The sixth treatment was considered as a control treatment with no addition of nutritional or fertilizer inputs. Water temperature in the experimental ponds was below the thermal requirements offish for optimal growth during winter season and of medium magnitude during fall and spring and close to the optimal thermal range for growth during summer season. Water in experimental ponds was characterized by high alkalinity (263.11 - 490.0 mg/1), high hardness (180.79 -339.16 mg/1) and high pH values (8.58-9.8) among treatments during the course of the experiment.